Lewis Carroll and the psychedelic 60’s were a match made in mushrooms. The “mind enhanced” music of the Love Generation shared the same sense of surrealism and child-like whimsy as Alice and her adventures through the looking glass, an exploration of the kaleidoscopic unknown, delight tinged with darkness. 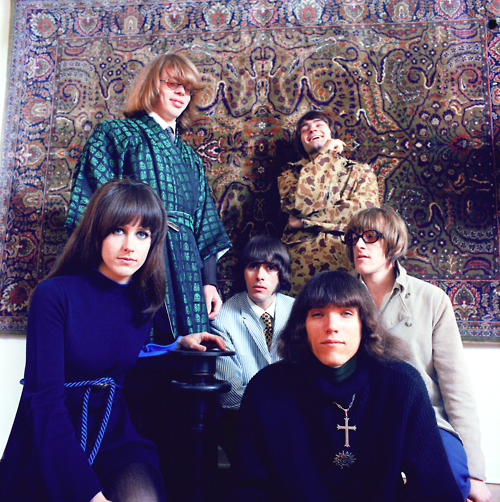 Jefferson Airplane took flight in San Francisco in 1965 when a bunch of folkies decided to pick up electric instruments – like many of their folkie brethren across the country – to see what kind of crazy sounds they could conjure from the incense and peppermints atmosphere, and with lysergic acid diethylamide still totally legal, they discovered some pretty far out sounds. After recording a debut album adored by the underground press and ignored by the squaresville public, Jefferson Airplane replaced their departing lead singer with powerhouse vocalist Grace Slick. Slick had previously sung lead for The Great Society, one of the top bands on the San Francisco scene, and when she jumped ship to get on board the Airplane, she brought along a song she had written and performed with her former musical mates. Inspired by the Alice books read to her as a child – as well as her current experimentation with all things trippy – Slick composed “White Rabbit” in 1965, one of her first attempts at songwriting. Although the lyrics are filled with characters and references from Carroll’s stories, Slick unfortunately doesn’t hazard a guess as to why a raven is like a writing desk. The Great Society played “White Rabbit” as an extended uptempo jam with a generic acid rock sound, but in the hands of Jefferson Airplane, it became an entirely different animal. Slick suggested a bolero-inspired arrangement, slow and sparse in the beginning but gradually building layers of sound, ratcheting up the drama and tension to a screaming conclusion about feeding your mind with knowledge. 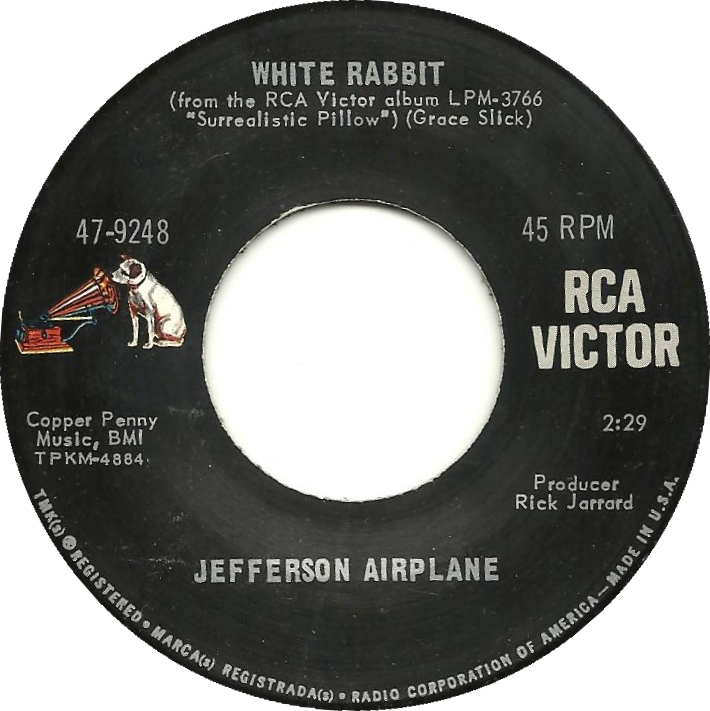 When released as a single in February of 1967, “White Rabbit” hit the US Top 10 and came to define not only the San Francisco sound, but also the cutting edge psychedelic sound beginning to take over the airwaves. The Airplane went on to play the historic Monterey Pop Festival that summer, and in 1969 appeared at the two most famous counter-culture music festivals of the time: Woodstock and Altamont. So make yourself larger. Or small. But don’t do nothing at all. Get curiouser and curiouser … with Jefferson Airplane.